Smartphones and tablets are not anything new. The increasing number of companies venturing into this domain stands testimony to the fact that people have become much more technology-savvy than they were a couple of years back. Smartphones have become the preferred choice for learning on the go. Whether they are to be used as new music systems or new learning tools, smartphones are handy in their own ways. An increasing number of organizations are willing to invest in the Bring Your Own Device (BYOD) policy to encourage learning. It is exactly at this point where it becomes important to convert Flash-based legacy courses into open-source technology, HTML5, so that they become compatible with mobile devices. Articulate Storyline is the preferred choice when it comes to converting legacy training material into HTML5 and in this article I'll show you why. Why Do We Need To Convert Legacy Courses Into HTML5? Most of the organizations nowadays are looking for multi-device compatible courses. Since our current generation is more inclined towards mobile learning and wish to perform most of the activities on their mobile devices, organizations feel the urgent need to repurpose their legacy learning so that they become compatible with mobile devices. Hence, they are increasingly moving towards converting legacy courses into HTML5. It reduces the cost and effort of developing training materials to a considerable extent. There are several ready-to-use templates available within the tool, which makes it easy for you to use or modify to create effective learning materials. At the same time, you can also add the templates that you have created individually for your course. The in-built templates come with a set of interactivities. However, you can modify the interactivities to suit your requirements. With Articulate Storyline updating a course seems like a cakewalk. The process being very simple, it allows you to update any training material quickly and effectively without putting in much effort. Editing or adding new interactivities is quite simple too. There are many design elements within Articulate Storyline that allows you to create Flash-like games and interactivities. Using important features like “triggers” and “variables”, you can easily create simple games and guide your learners to complete them for better understanding of certain topics and concepts. Drag and drop interactions are effective and fun and have the ability to transform a boring compliance training into an interesting activity. This tool easily allows you to create drag and drop interactions. It allows for multi-device compatibility with just a single click. With Articulate Storyline you can easily publish courses into multiple devices like smartphones, tablets, iPads, etc. From a single source, eLearning courses can be produced in Flash, HTML5, and iOS formats. 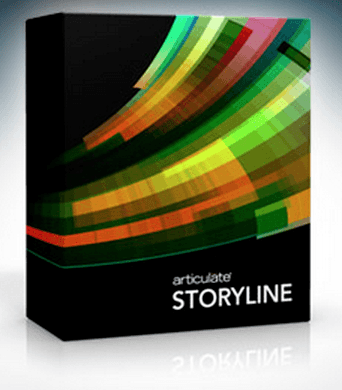 It is extremely easy to export course content with Articulate Storyline. If a course is developed in English, it can be quickly exported to XML or Word for translation purposes. Another big advantage of Articulate Storyline is that it supports the translation of right-to-left languages as well as that it supports double-byte character set (DBCS). Once all the content has been translated, it can be quickly imported back into Articulate Storyline and published into many different devices. This also leads to a considerable reduction in development effort and cost.